Samsung's full investigation into their issues with the Galaxy Note 7 has blamed two major battery defects as the root cause of numerous device explosions that lead to a worldwide recall. After testing more than 200,000 defective devices with the help of 700 dedicated staff, Samsung identified specific issues with the design and manufacturing of these batteries, but claimed there were no issues with the rest of their smartphone's hardware or software. In the first set of batteries, manufactured by Samsung SDI, there was a flaw in the upper right corner of the battery that caused a deflection in the negative electrode. This deflection led to a short circuit, which caused fires and explosions in some cases. Samsung also identified a secondary issue where the negative electrode was incorrectly located in the curve of the battery. After the initial recall of Galaxy Note 7s with Samsung SDI batteries inside, Samsung switched to a new supplier, Amperex Technology (listed as "Battery B" in Samsung's press release). This supplier had issues ramping up production to meet demand, and inadvertently introduced a manufacturing defect during this ramp-up process. The defect, introduced as the batteries were being welded, led to the positive tab short circuiting with the negative electrode. Again, this caused fires and explosions. It's possible that Samsung was just unlucky that both battery suppliers produced batteries with defects. 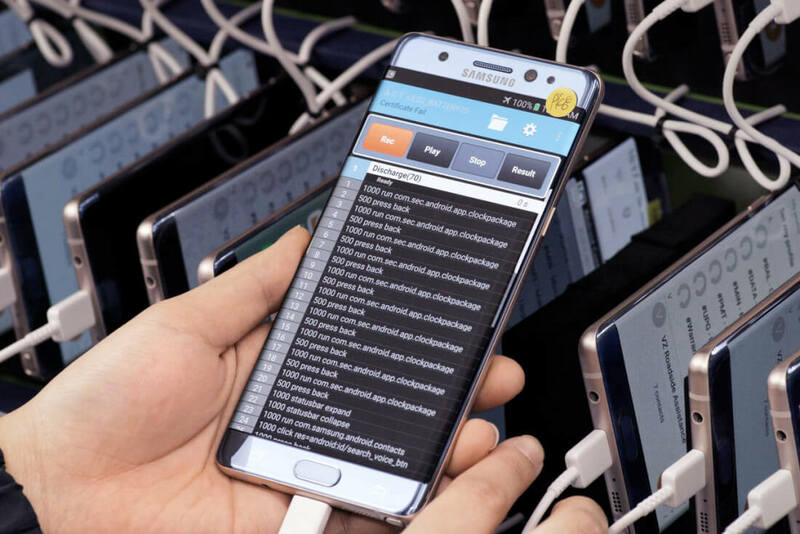 It's more likely that Samsung's battery validation and quality control procedures were inadequate, leading to these issues going undetected until Note 7s hit the hands of consumers. For all future smartphones, Samsung will be using a new eight-step battery validation procedure, that expands upon their previous testing and introduces several new tests. Part of this new procedure will involve actually powering up and down finished handsets, which is something the company didn't do previously. Samsung will simulate two weeks of "real life" battery usage in five days as well, to test for any issues during normal usage. Samsung will now work to rebuild trust in their smartphones, and the depth of this investigation, plus their public explanation of their battery issues, should help matters somewhat.